I experienced a tremendously annoying issue today. 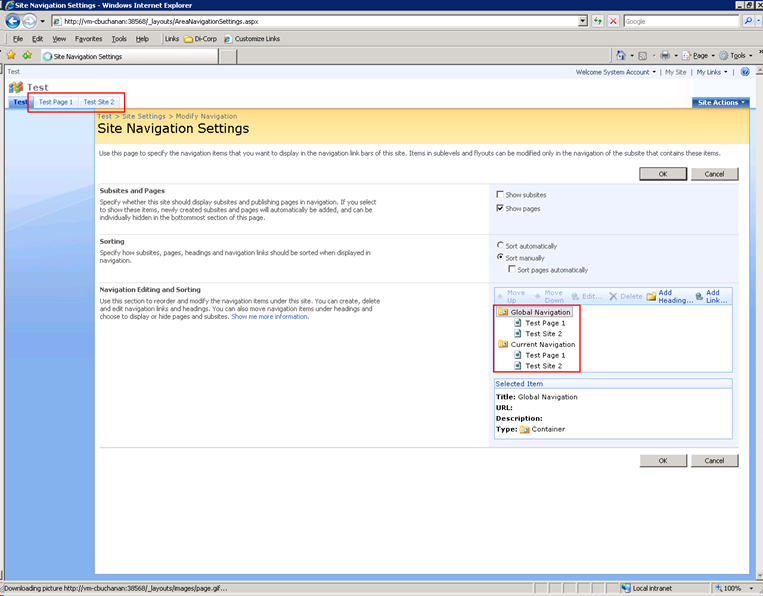 After creating and publishing a new page on my SharePoint publishing site I went into the Site Actions > Site Settings > Modify Navigation to hide the newly created page from my navigation. 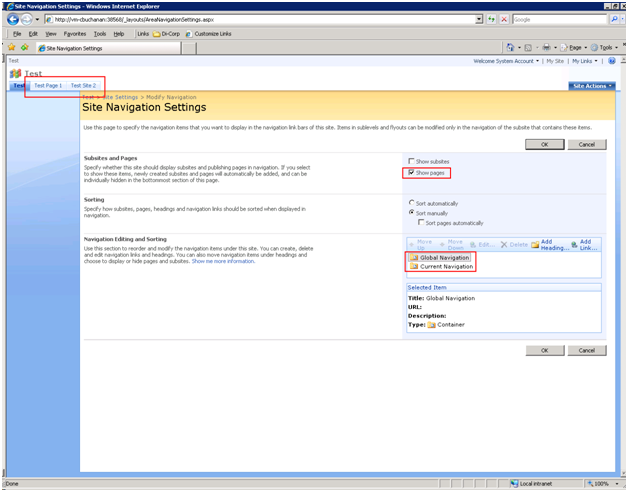 When I got to the Site Navigation Settings page there were no Pages listed in both the Global Navigation or Current Navigation areas. In the picture below you can see there are two Pages displayed in the navigation, but they don’t show up in the Site Navigation Settings. After some research I discovered the SiteMapProvider’s have a default limit of 50 child items that are returned. It appears as though the GlobalNavSiteMapProvider and CurrentNavSiteMapProvider provider’s return the sub site’s first, and then pages, so if you have more than 50 sub sites the pages don’t get returned. To fix this issue you need to add the DynamicChildLimit attribute to the nodes and specify the limit to return, with 0 being all of them. I only added the attribute to GlobalNavSiteMapProvider and the CurrentNavSiteMapProvider and this solved the issue as you can see below.